Back in 2008, Johnny Matheny lost the majority of his left arm to cancer. Since then he has become an advocate for the development of new, better prosthetic limbs in the only way he saw fit: by being testing them. After wearing a variety of different prosthetic arms, Matheny had an opportunity to be involved with a radical new approach. 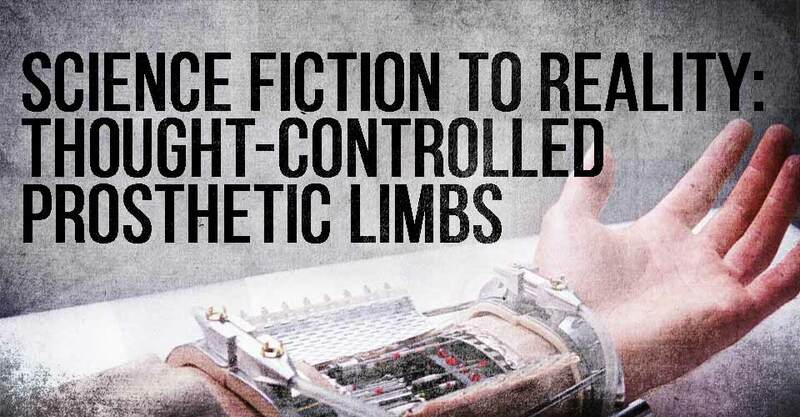 Thanks to a joint project between the Defense Advanced Research Projects Agency (DARPA) and the Johns Hopkins Applied Physics Lab, Matheny now has a prosthetic arm that is controlled by his brain. Matheny has been a test subject for many prosthetic limbs since losing his arm, but he has taken radical steps to be a part of this development project. The first step was actually having a metal attachment grafted to his remaining arm bone to attach the newest prosthetic. The process, which is called osteointegration, allows for more control and comfort. Then Johnny had to have nerves relocated in the upper part of his arm to allow for his brain to control his arm through just his thoughts. What is really cool to me, is Johnny’s attitude towards the entire process. He sees himself as someone who can help develop the technology to help others. The following video highlights not only Johnny’s amazing story, but also the amazing technology behind his new prosthetic arm. The same technology that allows Matheny to control his arm is being used to develop artificial legs, feet, and hands. Related: Who Better to Deliver a Bionic Arm than Tony Stark Himself?